Saturday March 24th we held the first Shifting Gears clinic of 2012 in Cass Lake. We are very excited about the new Peoples Church Site. Located at the corner of 2nd Street and Balsam, there is a large garage with a paved apron right on the street. Lots of storage space and work space inside and out. Perfect for throwing up the stands and getting to work. 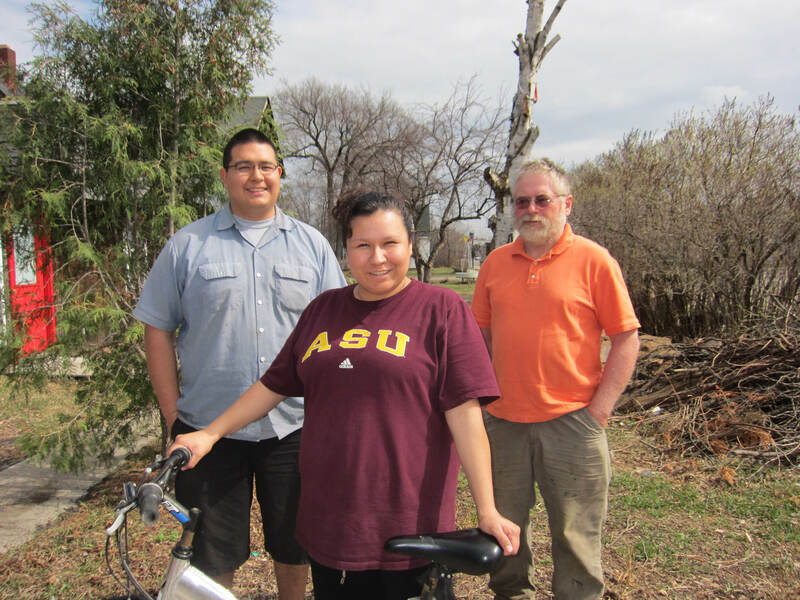 We were very fortunate to receive a generous donation of used bikes from the Concordia Language Villages so we had plenty of bikes and parts to give away. Dan DeVault rode in on his Raleigh DL-1 pulling his home-made trailer with tools and pump attached. So cool! Wish I had gotten a picture. I came from Bemidji on my trusty yellow recumbent fully loaded with tools, the banner, and other sundry items for the day. We met at the church at 1pm, got the stands up and the tools out just in time to meet our first customers. Marie Lowry and her son Alex came by. Alex has outgrown his bike and Marie was in need of a bike to try to keep up with her energetic kids. We didn’t have one that fit him on Saturday but found one this week and delivered it today. Now they can get out and enjoy the spring weather. 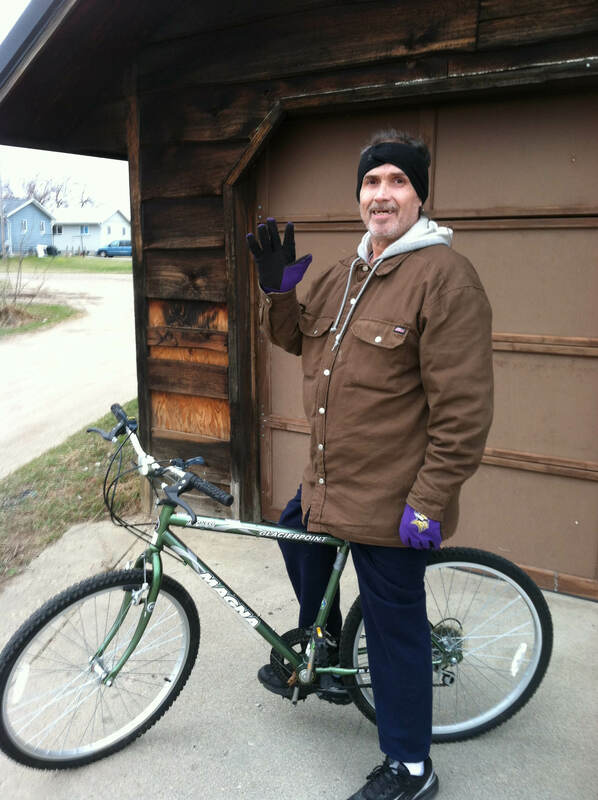 Harold needed a bike to get around the town so we fixed him up a fine set of wheels. The chilly wind didn’t keep the kids away. We were busy for several hours oiling chains, airing tires, and fixing flats. Dan has earned his stripes! We were busy. A fun day and only the first of many more come this summer. 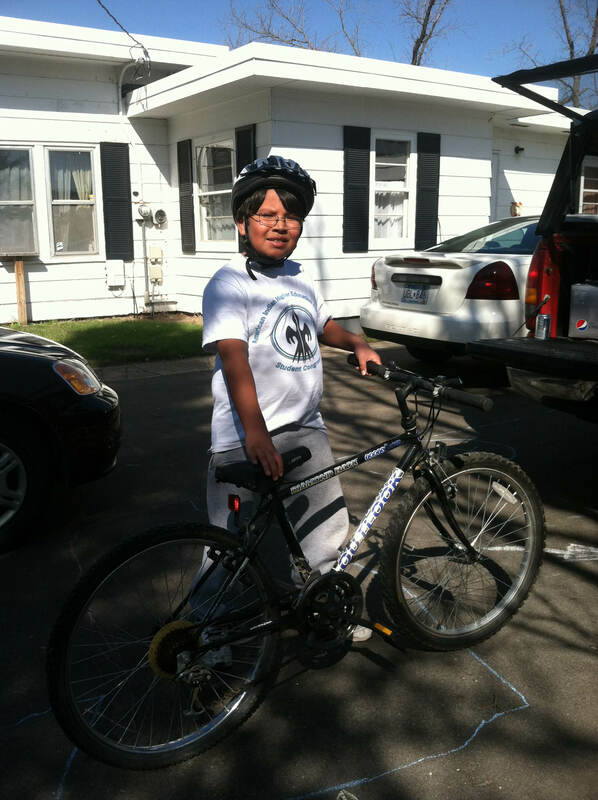 Alex and his cool Diamondback! 3 Responses to First Bike Clinic of the Year! Very, very cool! 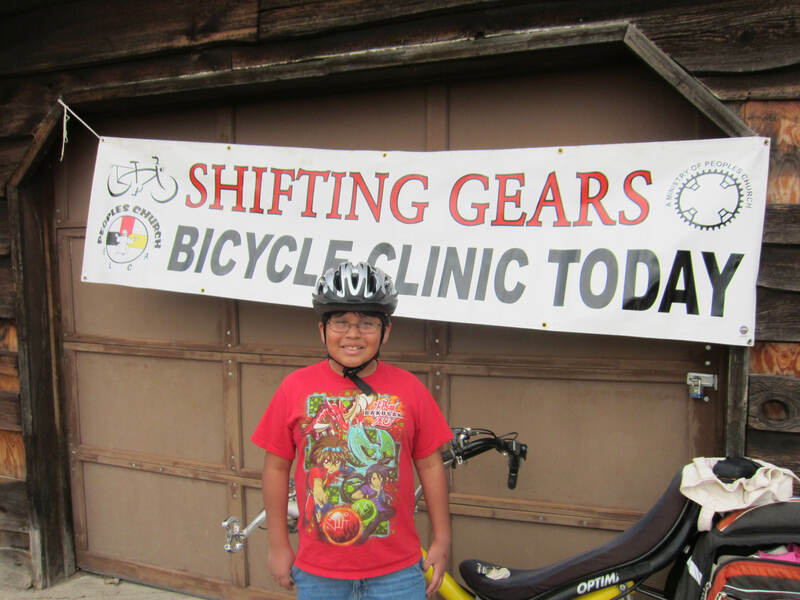 So good to see shifting gears clinic in C.L.! Good to have the new peoples church, and the donation from the language villages, it’s good to see the smiles on the kids and adults when they get a new bike. I’m happy to say that it’s very nice to be able to get our whole family (6 of us) out on the bike trails this year all thanks to you. Thank you so much! !